I’m on vacation right now. Yep, I escaped NYC and am in the mountains with my family out west. Our annual family ski trip. There’s something so majestic about being in the mountains. Especially in Utah. The sky is just crystal clear and bright blue. The air is crisp and clean, and pierces the back of your throat when you inhale, reminding you that you’re alive. And nature is at its most brilliant: the towering pines and spindly birch trees all playing in the pillows of pure, white snow. And seeing such magnificence, and experiencing it with all your senses, it really puts a lot of things into perspective. I feel incredibly small, amidst the power and glory of nature. And it makes me contemplate that the One who made these mountains, also made me. And how, if He put so much detail and beauty into, literally, rocks, how much more beauty did He put in me? And that got me thinking about recovery, and really…life in general. There’s a reason why there’s a term “mountain top experience.” It’s because the majority of life, isn’t like that. Not everyday is some amazing, nearly-out-of-body experience of awe and wonder. And that is especially true for recovery. Will there be days where we feel we’re on top of the world, able to see for miles, and able to conquer anything and everything? Yes. But there will also be just as many days where we will feel like we’re at the base of that mountain, craning our necks, looking up at a seemingly insurmountable summit. That’s the cold, hard, truth. And isn’t that true in life too? We can have days where everything is incredible – we’re excelling in our job, getting good grades, making the team, your kids are happy and healthy, and then BAM you’ll find yourself in a dry season of life – maybe a loved one got a bad diagnosis, you lost your job, got cut from the team, are in a relationship that has suddenly turned rocky. We’re at the base of the mountain. And doesn’t social media just feed that high/low mentality? It skews our perceptions on things: We look at people’s profiles, and compare our reality with their highlight reel – aka, what they post on FB/IG. Recovery can come off as pints of Ben & Jerry’s, followed by a double cheese pizza, with a sleeve of Oreos for dessert. And all the while with a big smile on your face. And although, yes there are exciting moments like that, it’s not as glamorous as it’s often perceived. And it’s easy to fall into the trap of thinking, Wow, look at how awesome her recovery or her life is. She’s smiling and enjoying all these amazing things, while I’m over here struggling and in fear. Sure, if I were that happy, recovery would be going amazing too. Or we see friends getting engaged, buying a house, starting a family, posting “perfect” photos of Pinterest-worthy vacations. It’s hard not to compare. Recovery is not about comparison. That’s a whole ‘nother blog post. So let’s table that for now. But here’s the long and the short of it: Recovery is not about emotion. And I’m saying recovery, but substitute anything in for it, really: love, faith, life, courage — all these things are not about emotion. Emotion is so flighty. We wake up in the morning, happy, motivated, feeling great – and then by lunch time, something’s happened – maybe we got a bad grade on a test, were on the receiving end of a hurtful or pointed remark, the cat peed on our laundry – whatever it is, we now feel crappy. Back away from the human. Beware of temper. Or, say we’re super motivated about recovery/faith etc. And for a good 3 months, we’re all for it. We should freaking carry around pompoms because we are cheer-captain-status. But eventually, that feeling can fade. Even to those with the best intentions. So if we base our recovery, or our faith, or love for self or another person off how we feel – our emotions — we’re eventually going to find ourselves in the emotional desert. A recovery wasteland. Standing at the bottom of the mountain, looking up. So what’s the solution? How does one combat the emotional stagnation? — Maybe, that’s not the question we should be asking. Maybe we should be asking if there’s another way to go about it. What if, instead of basing recovery (or love, faith, etc.) off a feeling, we instead base it off of a commitment? In other words: recovery is a choice. Sacrifice. That word is not all lovey dovey. It implies that it’s work. You choose to do it even when you don’t want to – or rather, especially when you don’t want to. Your physical body –healthy and whole– is what you bring to the Father. An offering of worship to the One who gave it all, freely. Regardless of how He felt about it. Recovery is a choice. A commitment. That – whether I’m standing at the top of the mountain, overwhelmed with the feeling of power and strength; or at the base of the mountain, feeling weak and inferior, unable to go on – I will go on. Because I have made a commitment. That I have chosen to take care of myself – as it is my act of worship. Oh thank you so much! That really means a lot. And yes I’m having a blast! Thanks for stopping by! Ski a run for me please! Oh I definitely will! I’ll ski a couple😉B thanks for reading! Hugs, Deanna! Love you, beautiful sister full of Jesus! Recovery is a choice! Love your posts! I live in Utah so that’s awesome you’re here! Thanks Ashleigh! Oh you lucky duck! What a beautiful place to live! Thanks for reading and for your kind words! Hugs friend! The sermon Sunday was on this very topic. Wee have to stop comparing and looking at life thru social media and then being upset when it doesn’t measure up. Some of the ppl who seem like they have the fabulous lives don’t even have them. We have to thank God everyday for what we have and be appreciative. What a beautiful reflection. You’re so right. We have to see ourselves through our Heavenly Father’s eyes and be thankful for everything he’s blessed us with. Thanks for stopping by! 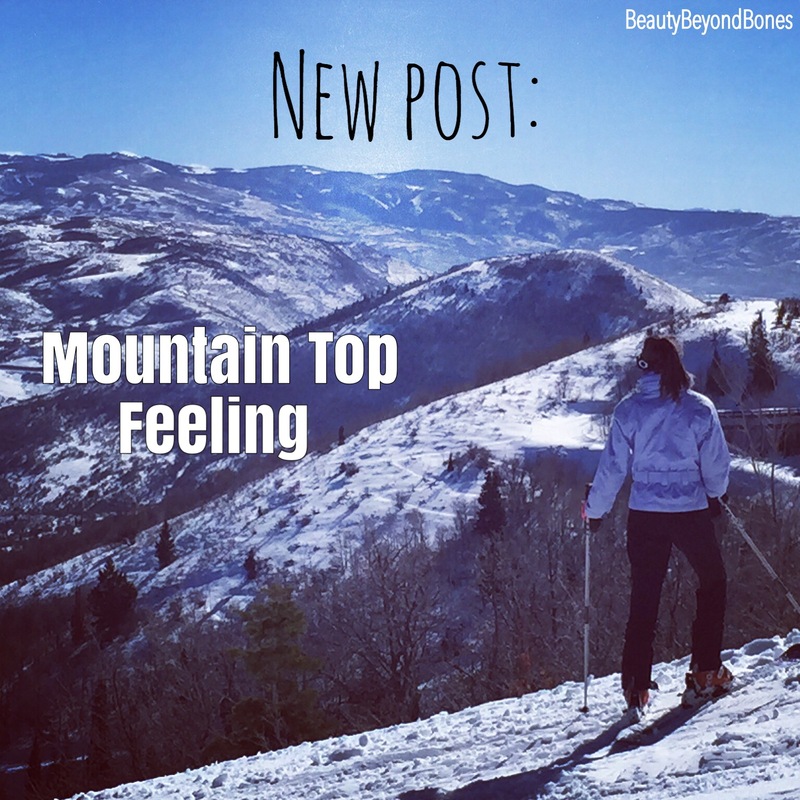 Such a beautiful post, mountains are so therapeutic. I wish you strength in your recovery. My pleasure. I’m a mountain girl too! Oh my gosh – you’re hitting the nail on the head so hard right now. Thank you for writing – for sharing. Oh thank you so much Tom! I really appreciate your kind words! I’m glad this struck a chord with you. Hope you have a fabulous week! oh thank you so much Erica! yes, God’s truth is definitely where we need to dwell. Thanks so much for this beautiful note of encouragement. hugs to you! have a great night! Oh you’re so welcome. Thanks for stopping by. Hugs! Thanks Marisol! Oh I definitely will! Have a great week! Very simple and yet so profound. Emotion usually comes and goes unless it is pinned to something that never changes, like God’s presence. May the sweet heat of the love for the Lord bless your heart and carry you through all of life’s ups and downs. Aw thank you so much Kilaya. what a beautiful note of kindness and positivity. God is good and I am so grateful for the gift He’s given me of recovery. So glad you stopped by. Enjoy your evening! Beautiful! I love that verse because it keeps things in perspective. God doesn’t take crap. He wants ALL of us. I am so inspired by your strength and I do not know first hand how hard this must before only by what I read from your blog and people I know who have been effected by this disease . I do know everything takes time so take it one day at a time and never give up and I love how you escaped to those mountains ,,,so beautiful and exhilarating . my Son would love those mountains for snowboarding. ;) enjoy!!! You are so very welcome.anytime. That is beautiful. I can very much relate to that. So very, very true. Recovery from any addiction is most definitely a choice. I never would have come to the place I am now if I never gave it to Jesus. And yes… it required work. The hardest part admitting that I had to give it to Him if I ever wanted to move on in my life. Thank you for sharing. Enjoy your holiday! Those pics are exhilarating. However, I will stick with a good ol’ fashioned snowball fight any day. Thanks so much Lizzy! So true. Jesus is the ultimate healer. And all he wants is for his children to live a full and abundant life. Thanks for stopping by:) oh yeah – any fun snow activity is awesome in my book! Hugs! Agreed. But my need for speed comes from building fast cars. Four wheels on the pavement is more assuring to me! I love this! Go Beauty! Aww thanks friend❤️❤️❤️ so glad you enjoyed it! Have a great night! 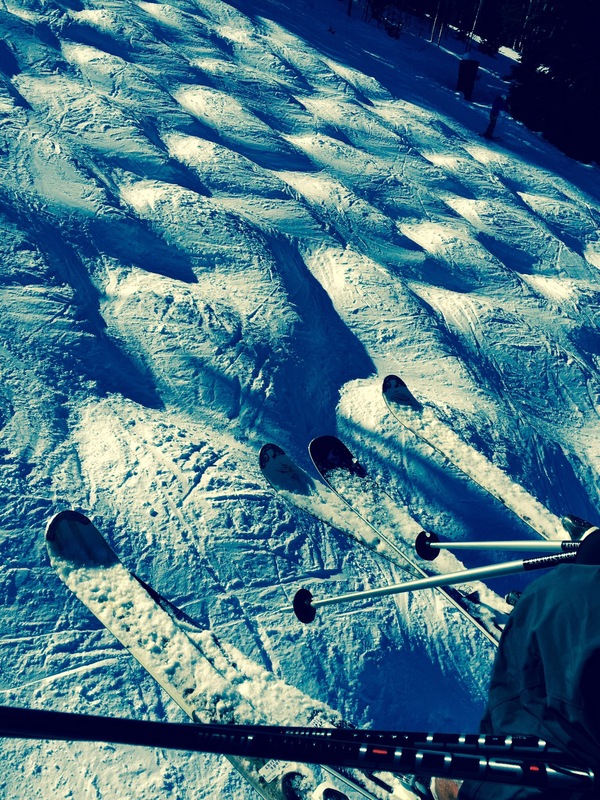 Your pictures make me want to go skiing. Alas, I have no idea how to do that. Maybe the person I am seeing will take me sometime in February. Although, your posts in general are making me wonder if he is really good for me. Don’t like that thought, but thank you anyway for making me think about it. Thank you so much Mukul. I appreciate you stopping by! hugs! Emotions and feelings are not firm foundations to build meaningful and lasting things on. You’re absolutely right! I can almost smell the cold, crisp mountain air from your post! This is a great post, there is so much deep meaning to what you are saying and pondering over. I totally connect with what you are saying about being in the majestic company of mountains. I am not sure if you saw my posts on being in the Rockies, it was my road trip of western Canada (FYI: 20th September – 3rd October 2015), if you have time let me know what you think. Being in nature naturally makes you realise what ‘life’ is all about, reading your post reminds me again, thank you and take care! Oh thanks so much John. I really appreciate that. I will try. I don’t think it will be too hard ☺️☺️ hehe thanks for reading! Have a great night! Glad you stopped by! “It implies that it’s work. You choose to do it even when you don’t want to – or rather, especially when you don’t want to.” Great wisdom, but it takes hard discipline. Victors say it is worth it. Thanks so much Oneta. This is definitely a lesson that I’ve had to learn the hard way. And honestly, is one I still am learning. But I am so grateful for recovery and it is definitely worth fighting for! Thanks for stopping by! Even though we are recovering from different ailments, recovery emotionally from the experience seems to be the hardest of all. I love to see you working your recovery and continuing to grow from it and into it. An inspiration! You have a depth beyond your years. Oh my gosh thank you so much Tim. That really means a lot. ☺️ thanks for this bit of encouragement this morning. Glad you stopped by! Thank you so much Jim! Yes social media is a bit of a double edged sword in that sense. And gosh, thanks for the reblog! Have a great day! I do not often re-blog a post from another blogger. But this post has a wisdom and insight that needs to be shared. Thank you Ana for sharing this! This is such a thought provoking post. I agree 100% about making a committment over emotion. There will be testing times and it’s our committment to stay at it over emotions that will keep us going…..
Like you said, being a living sacrifice is not a walk in the park, it’s work but that is what we are called to do, be a living sacrifice! Thank you so much for this thoughtful reflection, Rolain! You’re right- being a living sacrifice is definitely a difficult task, no matter that area of life we’re dealing with. But it is so worth the freedom and life that we gain from living for Him. Thanks for stopping by! Have a great day! There is no other way to live…. Wow, just wow. You are such an amazing voice for those that struggle. I always enjoy your words. Love this post! Seriously, the things you write apply to my daily life. This post fits today perfectly!! Yay, Jesus. Aw, thank you so much Anna! I’m so glad this resonated with you today! Just wanted you to know how much I appreciate your constant readership. It really means a lot 🙂 hugs, friend! AMEN. This is SO true. Please keep writing. God has given you an IMMENSE gift. Hey Emily! wow, girl. Your words truly humble me. thank you. Honestly, I can’t take credit for it though — it is ALL God. He is so good. I’m thankful for you, my friend! hugs to the moon! Solitude in nature is where I first found God as an adult and it is still my favorite place to be. Hi Ana, This is such a great post and your words are so perfect. It’s what I want to say to my readers about recovery and the time it takes, it is not instant! Would you mind if I share some of your content with a link back to your blog in my blog this week? Thank you so much. Hi Jennifer! Thank you so much! That means so much:) sure thing! I love when people share my link! Thanks for stopping by! Hugs! Aw thank you so much Mara! That really means a lot. Recovery has literally saved my life and I just want to share the love! Thanks for stopping by and for your kind words! Have a great night! Great blog Ana. You have such a special gift in your writing style. The way you piece it all together, are descriptive and put it in a perspective that allows the reader to put themselves in your shoes… ultimately allowing the reader to relate to your story, message or learning lesson. This blog is one that I will absorb and reflect deeply on. Thank you! Thanks Greg! My goodness I am just so touched by your affirming remarks. Seriously. You’ve put a smile on my face. Thanks for reading and have a wonderful night! You’re welcome Ana. In all that I do, I try to give credit, where credit it due. Glory be to God for giving you the gift of writing. I am thankful and excited to know that you are living our God’s will and plan for you. Continue to remain humble and believe in yourself and what you do to glorify Him. You were created in His image and are made perfect in and thru Jesus Christ. Keep the faith and keep the inspirational and thought provoking blogs coming! Thank you again Greg. God is good. All glory be to Him! Have a great day! I’ve always wanted to go skiing! It looks like so much fun. I hope you have a great time!! Thanks Classy! Oh, you should definitely try it out! It’s so much fun. Truly a lifelong sport:) thanks for stopping by! have a great night! Thanks for reading and for selecting like, so that I could read this, a continuation of conscious daily contact. Some of your words and of your own HP expression might differ from my own, However the message! One grain of glorious created dirt at a time, that I CAN DO! We are not alone! Oh thank you so much Elisa! I really appreciate you taking the time to read my words:) it means a lot. Thanks for stopping by and I look forward to reading more from you! Hugs! Mountains move me too, I can’t think of a better place to be reflective anytime of year but especially in the winter. Hi DLL! You’re so right. It’s a beautiful place for some thinking. Thanks for stopping by and for your reflection! Well I really think you must be brave if you’re running around climbing mountains! Are you recovering from depression? I only ask because everyone seems to be. I have a feeling this year will be better than last year. This year, the price of Kraft Dinner will go down! Hah thank you so much! No, I’m actually not recovering from depression, but I am in recovery from anorexia. Oh yes, this year is definitely going to be awesome! Woo! Thanks for stopping by! Thanks so much Garfield! Oh gosh, I am having a GREAT time! Thanks for stopping by! If you open a bit, the mountains give. And certain mountains have very strong positive energy sources. Your body tells you where they are and when you hear that. Breathe deeply, slowly, thankfully…strength then comes to you. Hi Flagerty, thank you for this response. There really is something powerful and majestic about the mountains! Thanks for stopping by! I always feel like you’re taking straight to me! Thank you, again! Hey Jasmine! Oh I’m so glad☺️☺️☺️ sending hugs and love to you, friend❤️❤️❤️ have a wonderful weekend! This is a great post! Just beautiful! Not everyone gets this, but it’s so incredibly important. Julie and I will celebrate 31 years this month. We didn’t get this far because we felt like it. We made it because we chose to whether we felt like it or not. I pray this very important message sinks in to all who read it. Thanks Jeffrey. WOW 31 years – what an incredible testimony of your love for each other and your love for God. I’m literally applauding you both right now. Such powerful wisdom that you shared here. Thank you☺️ sending hugs!